"presents" helped the process along. Whatever...it was all worth it. todo. "....whatever...it was all worth it! Anyway, when it was all said and done. Lb was floating. It took my newest crew members, Kelly and Gracie Walker, along with the Old Man Welsford four hours to rig the boat, get supplies and finally get the "Dispatchio" paperwork cleared. As we started the engine and headed to sea we looked back upon at least 15 men standing on shore wearing government uniforms, camo outfits and customs uniforms... all with smile son their faces. Good luck and good bye Dominican Republic. From here we headed East on an overnight sail to the tip of the Island where we anchored the next afternoon, swam and had a BBQ. We all fell dead asleep around 7:30 and were super pumped for our next days adventure. Crossing the Mona Passage! 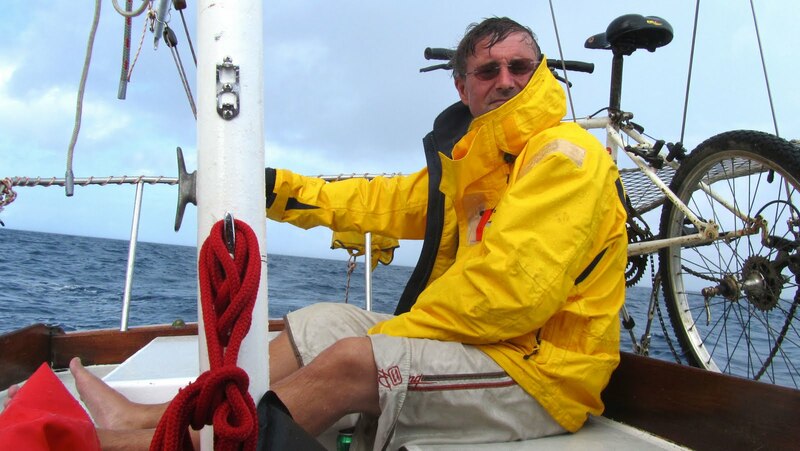 The passage is 98 nautical miles long but is not easily crossed as we are headed straight into the wind. Right away we were joined by a set of huge whales 15 feet off our port side. They hung out for a good five minutes and it kept us all smiling at least until lunch hour. Although it was sunny and hot, we had little wind and began using the engine to pick up some speed. It took us all night and the next day to get to Puerto Rico. At one point when every one else had gone to bed and the Old Man and I were debating over which course would be more effective we were joined by a school of dolphins jumping off Lizzy Belle's bow. They criss crossed, back and forth with the moonlight shinning on their backs. Once again, their presence lifted our spirits well into the night. Kelly and Gracie had a rocky sleep below deck. Sorry guys! 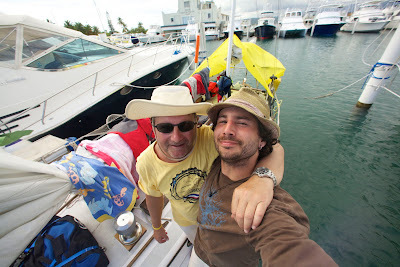 It took us 5 days to eventually reach Ponce, Puerto Rico and there are too many stories to write on this blog. My Old Man left late last night to try and catch a meeting in Lunenburg, NS by Wednesday night. Gracie and Kelly rented a car and are heading home on friday and are slowly preparing to get back into the real world. 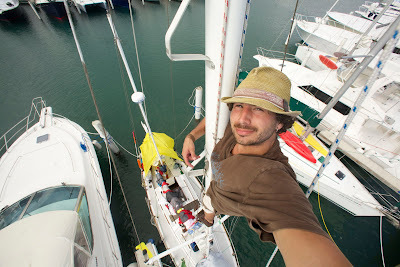 I'm mentally preparing for a solo adventure 130 nautical miles east to ST Thomas, USA Thursday morning. It should take me three or four days to get there, mostly sailing at night to avoid the afternoons strengthened trade winds. I'm not going to lie, I'm nervous to head out there on my own...but at the same time, I'm ready for the challenge and am anxious for the experiences. Wish me luck! Lizzy Belle drying out after our greatest adventure yet. Old Man and I looking pretty proud of ourselves. Our first breakfast. Fried onions, green peppers, tomatoes, scrambled eggs and cheese on pita bread. The legend herself! Gracie Walker. 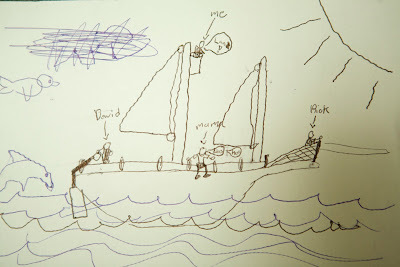 The 10 year old that has as much offshore sailing experience as I do. I'm proud to share my time on Lizzy Belle with her. I'll be calling Gracie captain one day! My current office in the laundromat at the Ponce Yacht and Fishing Club, Puerto Rico. 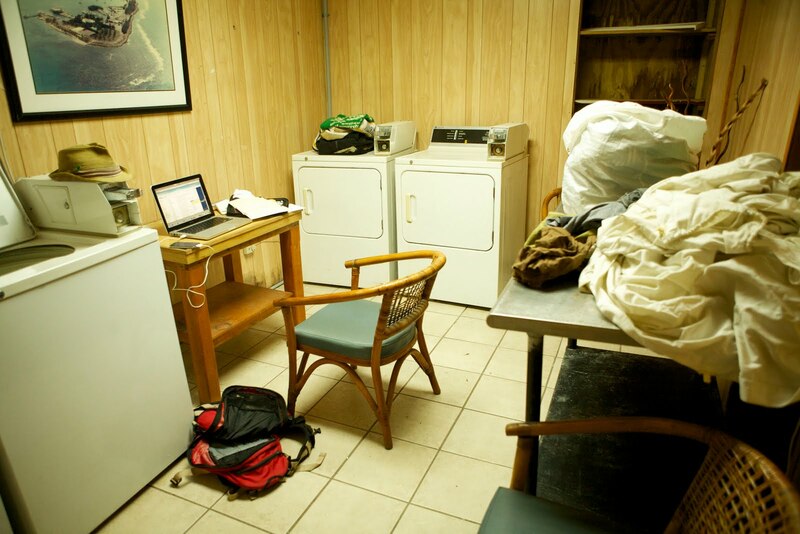 I get to do my laundry while I work. 1. In the last five days I have watched every sunset and sunrise. 2. I haven't touched and ipad, iphone or any electronic device besides my GPS until I stepped onto land. 5 days straight! 3. I do not have a regular sleeping schedule anymore as we were always doing shifts on the helm. I was up last night at 3am doing laundry and emailing friends. 4. Living in the same clothes and not being able to have a fresh water shower leaves you with a sad looking rash. 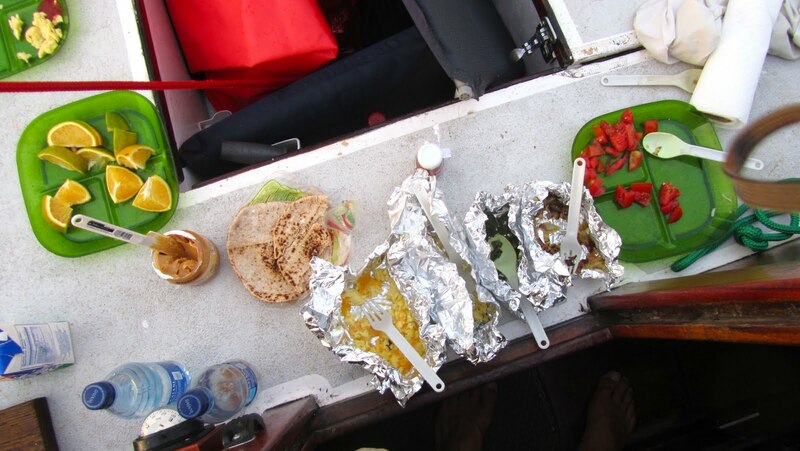 Answer: sail naked and stay dry! 5. No card board is allowed on the boat. Cockroaches lay their eggs in the glue between the seams. No cockroaches on Lizzy Belle yet. Lets hope this doesn't happen. 6. Sleeping under the stars every night on Lizzy Belle's deck leaves me with fresh air in my lungs. 7. My navigation lights are backwards at the moment and I figure it must confuse other vessels. I'll have to work on this one. Thank you Kelly for pointing this one out... and for sharing your wisdom and sailing experiences. 8. I miss my Old Man greatly after living in a hotel with him for three weeks and then being rewarded by sharing the adventure of our lifetime. Thank you to my family for teaching me these skills and guiding me to the place I am today! 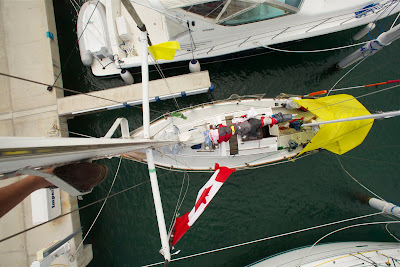 A video of LB heading offshore to cross the Mona Passage! Our thoughts and navigation lights are with you!